Ah acne. While often synonymous with angsty teenagers, the reality is acne doesn't just affect teens. Adults suffer from it, too. And even if you never had a problem with acne when you were younger, it can still strike when you're older. Fortunately, knowledge and treatments for acne have come a long way. There's no need to suffer from blemished skin. Here's what you need to know about acne and how to treat it. Genetics determine your skin's shedding cycle, which determines if you get acne. Acne prone skin sheds more often, causing dead skin cells to build up in the pore and follicle. That build up plus oil creates a clog, resulting in inflammation and ultimately a pimple. Multiply that by lots of pores and you've got the perfect storm: acne. Using a Gentle Skincare Regime. Be sure you're using a gentle skincare line daily that not only cleanses, but exfoliates and moisturizes, too. Incorporate a Purifying Facial Bar, Clarity Serum, and Balance Moisturizer into your skincare regime. As we've mentioned before, we highly recommend Fresh Faced Skincare. Not only is it affordable, products range from $10-$47, but it works! 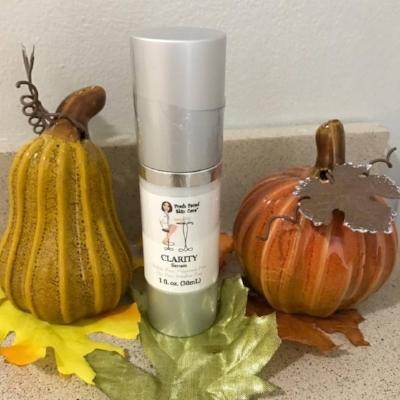 Their Clarifying Serum is the holy grail of exfoliants, plus it's sulfate free, fragrance free, paragon free, and dye free. Getting Regular Peels. Regular peels are key to treating acne since a peel removes dead skin cells. By removing the dead skin cells before they can clog the pore, you're mitigating the acne. La Belle offers enzyme peels ($25) that you can add to any facial service. Or you can boost your exfoliation by opting for the dermaplaning with enzyme peel ($40). With La Belle, every facial service includes a professional skincare consultation and personalized home care recommendations. So, if you have questions, they'll have the answers. Keeping an Eye on Your Diet. Your diet affects more than just your waistline. Clinical studies indicate that certain foods like dairy and carbs may trigger acne. In addition to avoiding trigger foods, try adding anti-inflammatory foods (double-check food allergies first) to your diet, too. Always consult with your doctor if you're concerned you diet may be attributing to your breakouts, and adjust your eating habits accordingly. Ready to get your acne under control? Give us a call at 302-656-0555, 302-378-8880 to book your facial treatment service.